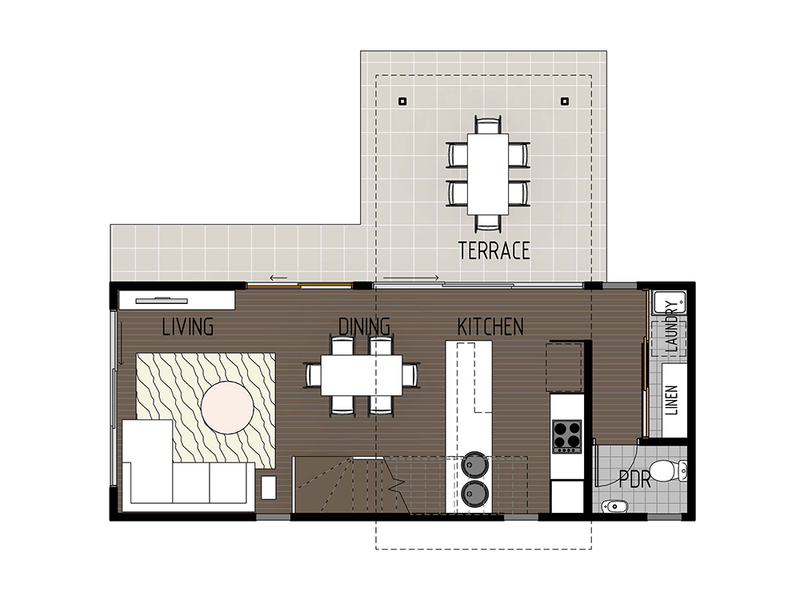 This stunning two level granny flat is another one of our Signature Range designs. 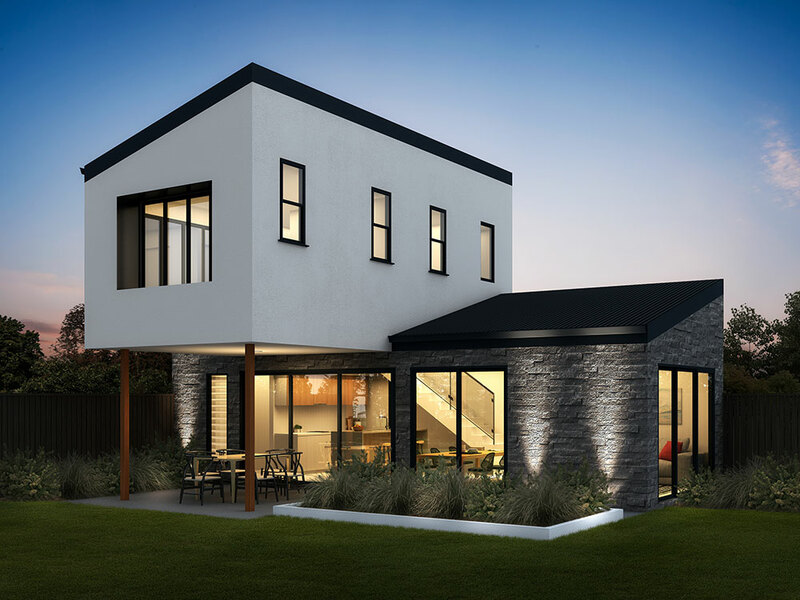 The second level of the home is positioned across the ground floor (at one end) which creates an eye catching and unique design. The ground floor features the open plan kitchen, dining and living area as well as a separate powder room and laundry. An outside terrace flows off from the kitchen and dining rooms. 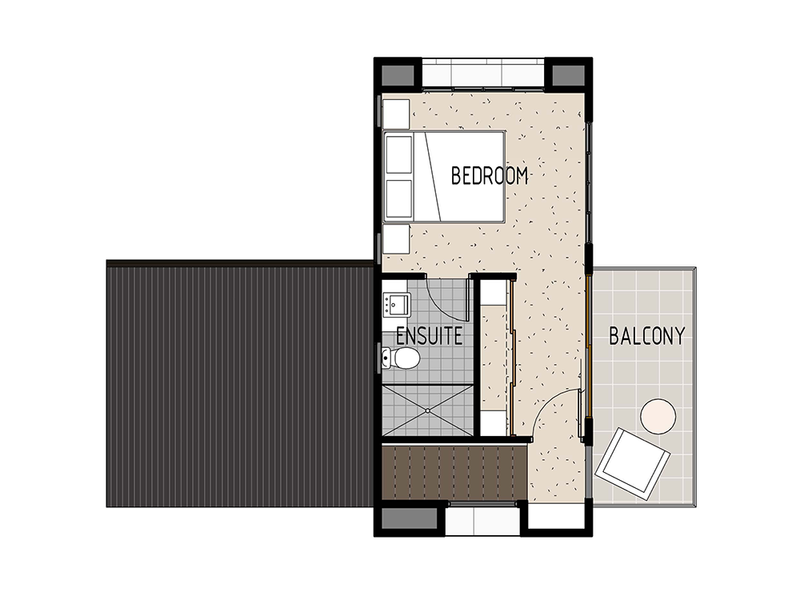 Upstairs there is the single bedroom which features a built in wardrobe, second storage cupboard, private ensuite and private outside balcony.